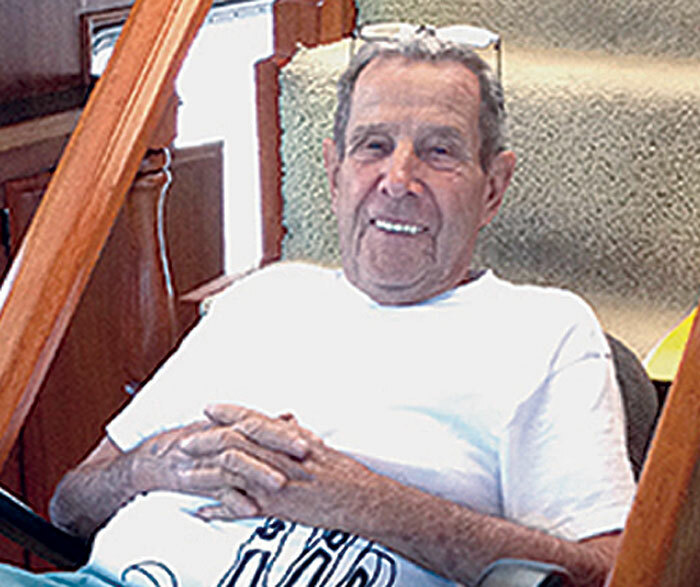 REDONDO BEACH — Body Glove co-founder and well-known Redondo Beach resident, Bob Meistrell, has died. He was 84, Body Glove reported on its website. Meistrell, a waterman who co-founded Body Glove International and Dive N’Surf Inc., died June 16 aboard his boat, The Disappearance, suffering a heart attack after working on the boat’s engine. The vessel experienced double engine failure as it was coming back from Catalina Island as the lead boat in the Rock 2 Rock Paddleboard Race. His nephew, Steven Lockhart, administered CPR and called for son Robbie and nephew Billy Meistrell, who were on nearby boats. Baywatch Isthmus personnel arrived at the scene and attempted to resuscitate Bob Meistrell with a defibrillator, but were unsuccessful. Living by his motto “Do what you love, love what you do,” Meistrell died doing what he loved: being out on the water on his boat, family members said. Born July 31, 1928, Bob and his twin brother, Bill, who died in 2006, helped to give surfing new popularity by manufacturing, designing and selling the first commercially viable neoprene wetsuits. Bob and Bill Meistrell were inducted into the Surfers and Divers Hall of Fame. Their stories are captured in the book, “Fits Like a Glove,” to be published later this year. In recent years, Meistrell led an effort to replace the bust of surfer George Freeth after it had been stolen from the Redondo Beach Pier. Meistrell was instrumental in getting local boaters, divers and community members involved to pitch in to create a replica. At that time, he offered $5,000 for the bust’s return. When it could not be found, he decided to have an new one commissioned. Bob Meistrell is survived by wife of 62 years, Patty; sons. Robbie, Ronnie and Randy; nine grandchildren, Tracey, Matt, Jaime, Nick, Kenna, Robert, Randi, Rhoni and Makayla; and two great-grandchildren, Mia and Maddox.